Click on "Replace Video Source URL"
Copy the link that is shown there (Click 3 x to select it). Just click on your profile settings and go to "My Files"
Locate your uploaded video there and copy the link. To make sure that you have selected the desired video, just click on the item in the column "Used on" and the name of the video will be shown. 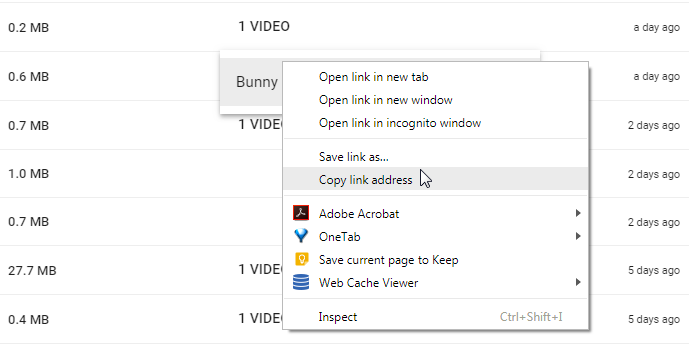 Right click on it and then click on the "Copy link address" item.